PRETORIA – Planning a road trip or night on the town is going to cost you more as government increases fuel levies and excise duties on alcoholic beverages, in an effort to raise close to R10-billion. Government has added 30c/litre to your fuel bill with an additional fuel levy – which comes after a similar increase in April 2015. And a bottle of whiskey will cost you more, with government increasing its excise duty on spirits by R3.94 from R48.13 to R52.07. Sparkling wine is also going to cost you more with a 78 cent increase in its levy. Government intends to raise R9,5-billion through excise duties, the fuel levy and other environmental taxes. But the good news is that South Africans have been spared a Value Added Tax (VAT) increase – for now. Treasury has, however, left the door open for a VAT increase in future, saying projections for the 2017/18 and 2018/19 tax years include an additional tax collection of R15-billion each. “Options to raise this revenue include providing limited relief for fiscal drag, increasing marginal personal income tax rates, introducing a new personal income tax bracket, raising the VAT rate and/or increases in other taxes. These options will be the subject of further analysis, consultation and debate,” the budget review document says. 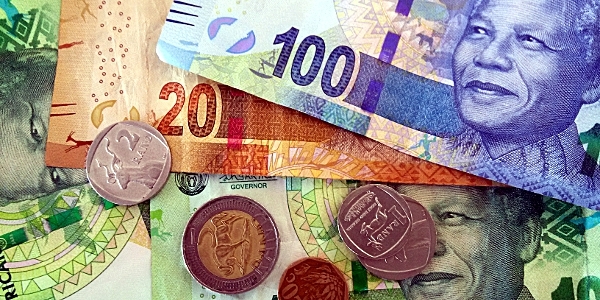 Treasury and the SA Revenue Service (SARS) reported lower than expected tax revenue for the 2015/2016 tax year with R11.6-billion less than anticipated entering SARS coffers. And Treasury said the constrained growth environment had lead to this reduced revenue collection. “Last year’s budget anticipated GDP growth of 2 percent in 2015, but growth reached only 1.3 percent. The economic growth outlook for 2016 has been revised down to 0.9 percent,” the review document says. Despite this outcome, government plans to raise an additional R18-billion in the 2016/2017 tax year, and a further R30-billion over the next two financial years. Explaining the decision not to increase income taxes and VAT, Finance Minister Pravin Gordhan said: “One thing government is clear on is that we are not imposing austerity on our people,” he said. He added that government could have added measures that would have “been more negative on the growth side”. Government’s tax plan does have some new factors, including adjustments to the three lowest personal income tax brackets which will compensate for the impact of inflation. And increase the transfer duty rate on properties above R10-million from 11% to 13%.